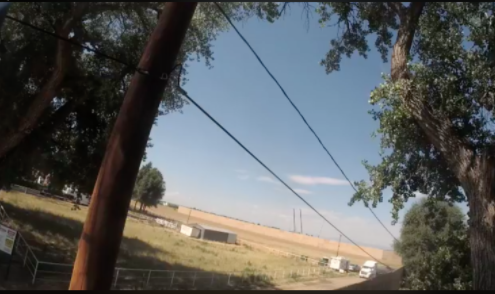 What is it like to live next to an oil and gas well? Have you ever wondered what it’s like to live within 1,000 feet of an oil and gas facility? 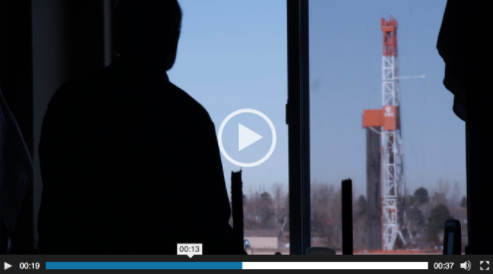 A few months ago, we began working with the neighbors at Triple Creek in Greeley to document the day-to-day experience of living with a 22-well oil and gas facility. Last week, the fracking process began in Triple Creek. Click on the picture below for a live feed of what it looks and sounds like when the fracking process begins. It becomes amplified when the entry road sits just 35 feet from your house. As more and more Colorado neighborhoods face exactly what Triple Creek is experiencing, LOGIC is helping neighborhoods fight residential drilling and ensuring that Coloradans living near those proposals have a voice. LOGIC is also working to ensure that residents living with oil and gas development proposals have resources, information, and a network to fight and contain these proposals that would place their homes in the midst of large industrial operations. We are working to ensure that when these operations are approved or are already happening near neighborhoods that protections and accountability are put in place for the residents. We hope you will continue to follow the story of the Neighbors at Triple Creek. And we hope you will support LOGIC’s efforts in helping to make their voices heard.